Don’t go “cold-turkey” right away… take it in baby steps. If your children drink milk regularly, start by choosing organic milk. Then add in a bulk bag of organic apples for a healthy snack. 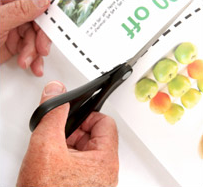 As you continue adjusting to the gradual shift in your monthly grocery budget, begin buying more organic produce. We recommend starting with the types of produce that require or absorb more pesticides when grown conventionally, such as lettuce, apples, peaches, bell peppers, potatoes, celery and strawberries. Many families already know the value of buying in bulk. However if you’re shopping for only one or two people, buying bulk foodstuffs may not seem feasible… try finding a neighbor or family member willing to split bulk food items with you. 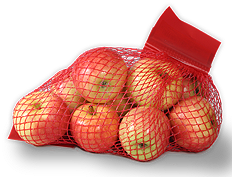 The most common organic bulk produce in larger grocery chains are big mesh bags of organic apples. 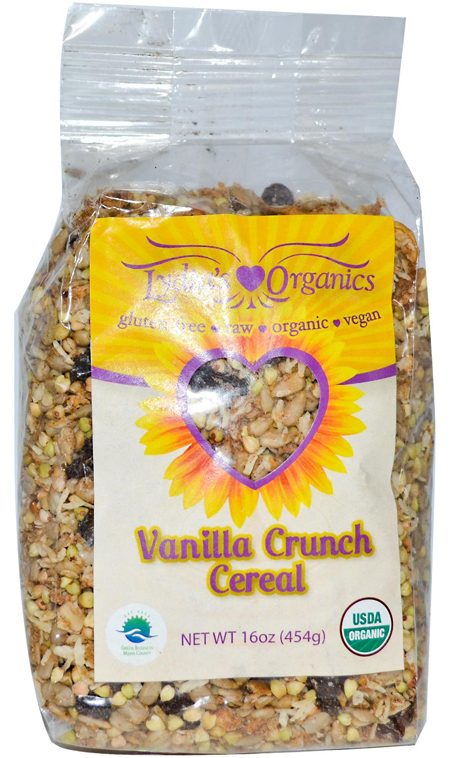 When you get to the cereal aisle, look on the bottom shelf for bulk bags of breakfast cereal—if you don’t see any with a USDA Organic label on the bag, don’t hesitate to ask the store manager if they’d consider stocking a brand or two. 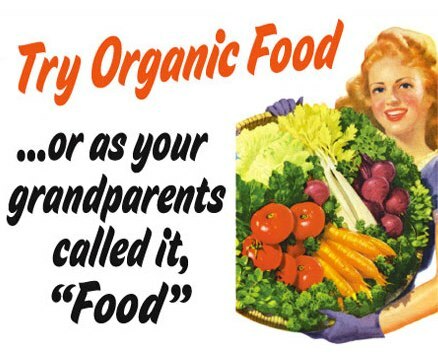 Grocery stores are getting increasing pressure to bring in more organics… your voice counts! In addition to the organic produce section, many national grocery chains have created their own in-house organic line that is priced below national organic brands. 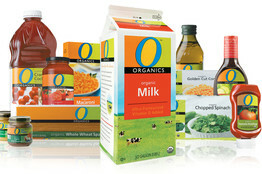 Examples include Safeway’s “O” organic line, Shaw’s “Wild Harvest” organic line, Publix “Greenwise” organic line, Aldi’s “SimplyNature” organic line, Trader Joe’s organic products (many of which now bear a USDA Organic label), and more recently, Walmart’s “Wild Oats” brand (which they are promising will “drive down the price of organics”). 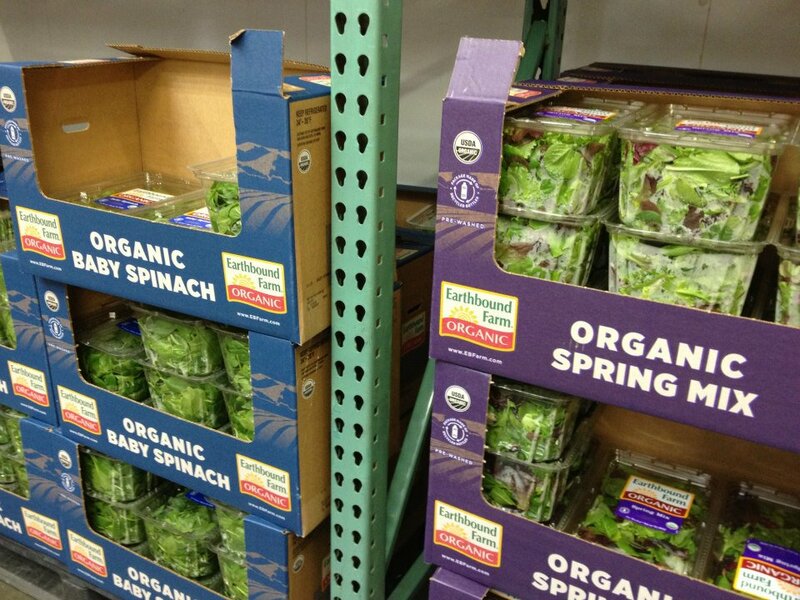 If you haven’t been to Costco lately, you might be surprised to see how many organic options they’re stocking these days—depending on what area of the U.S. you’re in, and how far you have to drive to get to the nearest Costco. During a visit to one local Costco store, we counted more than 200 organic brands, ranging from milk, eggs, cereal and sugar for breakfast, to peanut butter, jam, chips, fresh fruit, lunchmeat, and bread for school lunches, to dinner staples like fresh organic chicken, pasta, quinoa, spaghetti sauce, soup, broth, and both fresh and canned organic vegetables. Check out all of the possibilities on this page of our website. If there’s an organic, co-op-style grocery store within reasonable driving distance, and if its membership benefits make financial sense for you, this can be a great way to save money on organics. One such example is the PCC Market chain in the Seattle area. For a one-time $50 membership fee, you receive two “10% off your entire purchase” coupons upon joining, followed by one “10% off everything” coupon each month, plus two additional 5% member discount days each month. 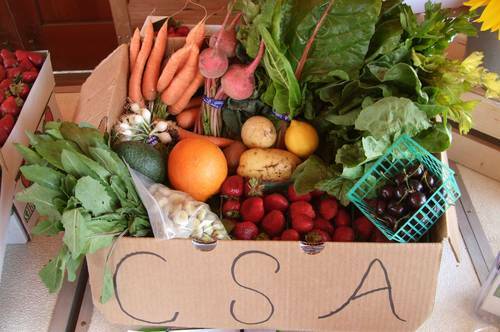 Community Supported Agriculture (CSA) programs deliver a box filled with organic vegetables (and sometimes other foodstuffs) direct from local area farms to your doorstep (or a central location in your neighborhood) on a regular basis for a minimal cost (usually around $20). Learn more about CSAs by clicking here, then see if you can locate a CSA in your area on this website. 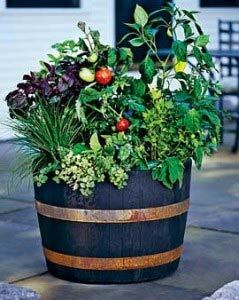 If you’ve got some outdoor space with sunshine, even if it’s just a patio, deck, or parking strip, plant some container vegetables or a small garden. Even a couple tomato plants, bush-style green beans, or cucumbers can help add some bounty to your kitchen larder. If you’ve got no space to grow, see if there’s a local community garden plot near you that might have some available space. And don’t forget to check out this excellent resource page listing GMO-free seeds state-by-state, then get started with the helpful “how to start your first garden” tips on this website. We realize not all of you live in an area where a quick trip to a nearby farm is possible… but at least consider the option as a special outing. We’ve made a habit of taking a leisurely drive out of town one weekend a month to visit several of our favorite farms, where we purchase frozen packages of pasture-raised chicken and beef, fresh eggs, milk, and seasonal produce—all for significantly less than the average cost of the same items at our local organic grocery store. 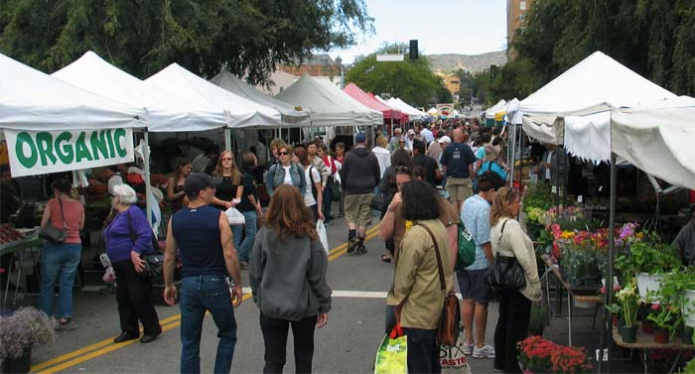 If you’re living in the city, the farmers may already be coming to you in the form of a nearby farmer’s market. To find out if this is true in your area, visit this website and click on the “Find a Farmer’s Market” link. 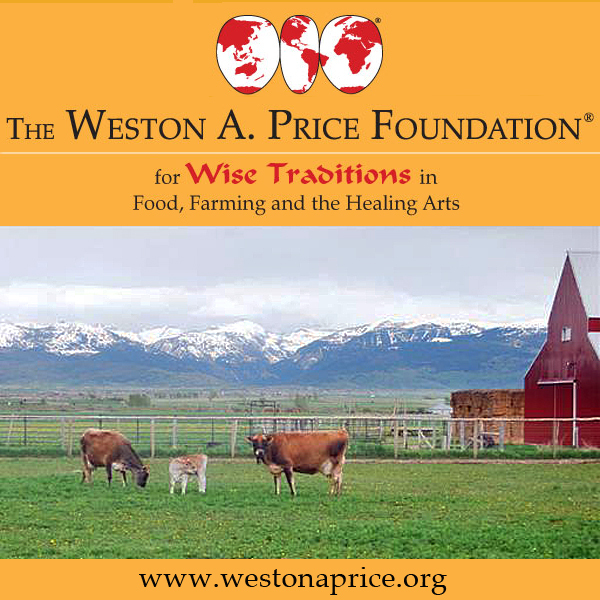 Many people have never heard of this organization, whose mission is to “restore nutrient-dense foods to the human diet through education, research and activism.” When all else fails, try contacting one of their local chapters to help you find locally-grown organic vegetables, fruits and grains, milk products, butter, eggs, chicken and meat from pasture-fed animals. Yes, conventional food is often much cheaper—because it’s been industrialized, uses all sorts of highly processed (typically made from GMO corn) ingredients, and continues to be heavily supported by tax subsidies (in contrast to the lack of support + fees that organic farmers must pay to go through the organic certification process). 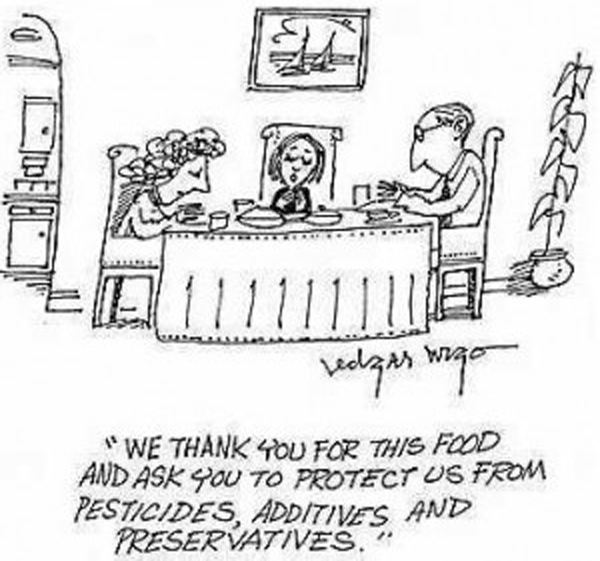 Every time you buy GMO foods, you’re telling the agriculture industry to grow / manufacture more GMO foods. Every time you buy organic foods, you’re encouraging more farmers to grow organic foods, which activates the law of supply and demand to shift food manufacturers away from GMO ingredients, thus helping to make organic food more available and affordable. 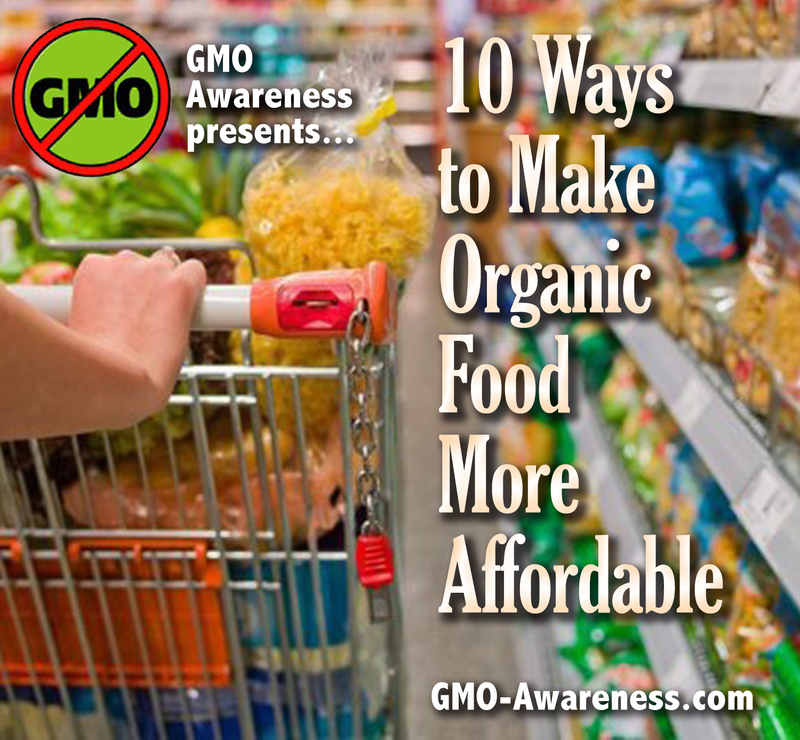 This entry was posted in GMO Information and tagged affordable organic, certified organic, coupons, expensive, genetically engineered food, genetically modified food, GMO, gmo-free shopping by GMO Awareness. Bookmark the permalink. I read an article about Kroger getting sued because their chicken that they claim is all natural and cage free is actually nothing more than Purdue chicken. Kroger states that they are standing behind their supplier and that it is in fact cage free organic…I just don’t know now about any large chains brand claims! As an aside, we found a great graphic showing the difference between organic and natural that we used on this blog post, if you’re interested. I excited to learn and acknowledge to learn ways to be GMO free. Very surprise to learn Trader Joes does not prove GMO Free. I like Trader Joes prices Whole Foods is Nice place to shop. They are over price. I miss shopping @ The Rainbow Grocery in S.F. CA. Due to my finances and me being disable. I can no longer afford to pay for gas and shopping. Thanks for the FYI! You are very welcome Yvette! Trader Joes’ in-house organic line is now carrying more and more USDA Organic certification logos on the labels, which… although TJs still isn’t willing to disclose sources, has us feeling a lot more confident about third party verification / purchasing those products. Hi , I just found out Con Agra owns Alexis brand that has been found to contain harmful chemicals as well. They donated to defeat us. These top corporations protecting themselves are ruthless and will do anything to protect themselves this includes buying out real organic brands Look up all companies you are considering to purchase from. The manner in which you cross-posted is perfectly acceptable. Thanks very much for the request and for helping to raise awareness! I would add as 11th way, that you can start your own organic small business (home business, internet marketing or network marketing) and buy your other organic products with the profit. Not to forget that you can even save on tax payments too.